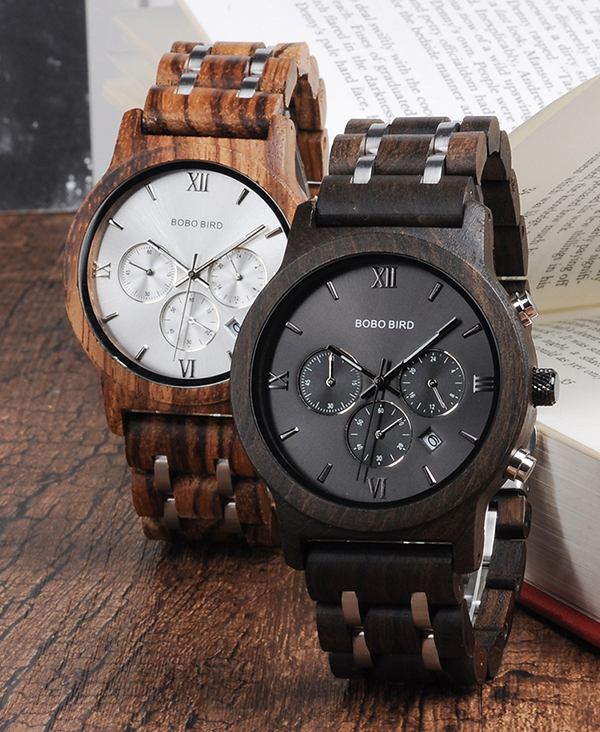 This Men’s Luxury Chronograph Military Style Wooden Watch is stunning! Expertly crafted using Blackwood, it features a contemporary black face with chronograph functionality, date display and three hand movement adorned with luminescent coating on two of the markers. 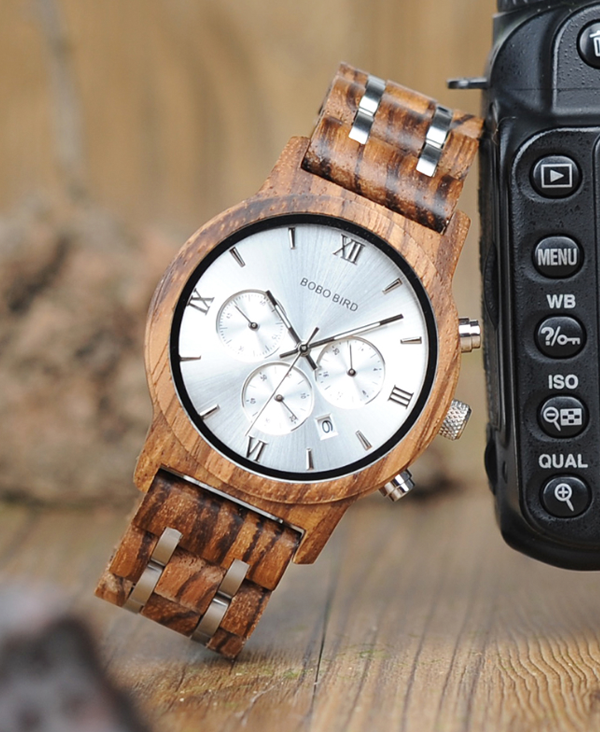 This Men’s Luxury Chronograph Military Style Zebrawood Watch oozes wow factor! 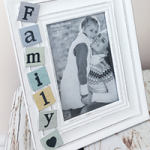 The design is inspired! 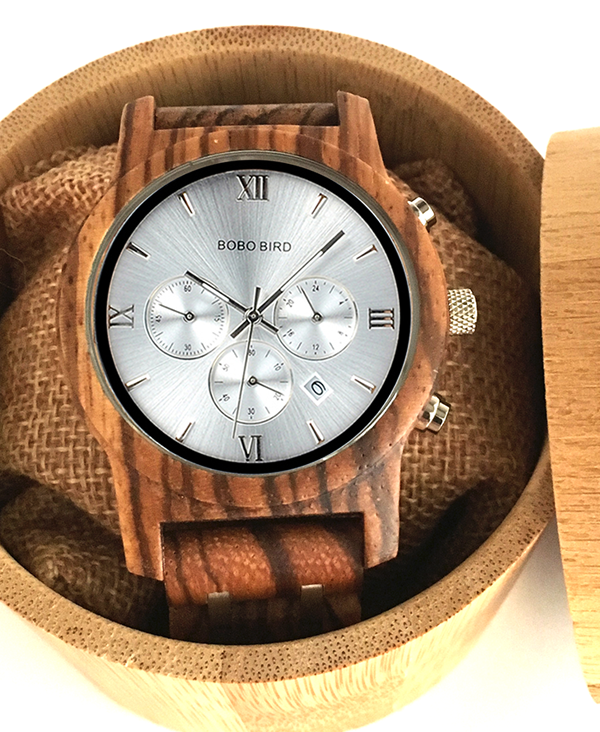 The stylish silver face is perfectly complemented by the striking stainless steel that runs through the zebrawood of the bracelet style strap. The face features Chronograph functionality, stylish roman numerals and a three hand movement that is adorned with luminescent coating on two of the markers. There is also a subtle, yet useful date display. This is an incredibly lightweight and comfortable timepiece. 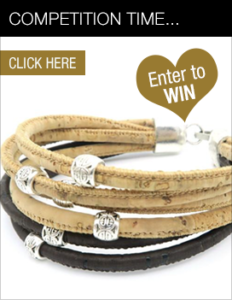 The bracelet is adjustable in size – links can be added or removed as required using the tool provided. 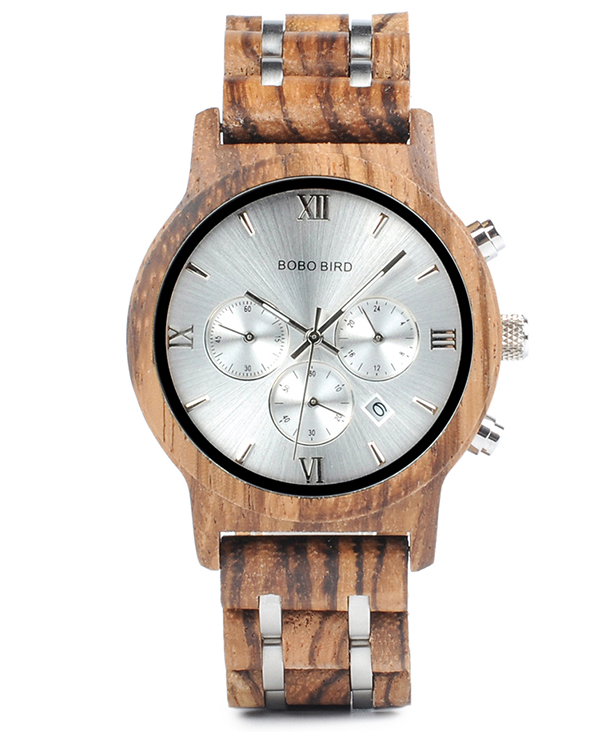 This stunning watch is a fabulous addition to our growing selection of popular zebrawood watches. 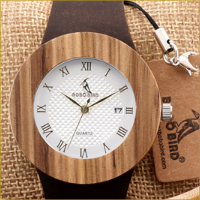 We think it’s sure to be coveted by all those appreciate the charm and individuality of natural wood timepieces. 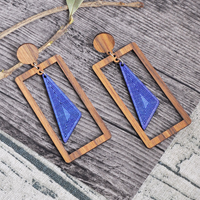 Please note: Zebrawood, as the name suggests, features ‘stripes’ in the wood and each piece is entirely individual and so may vary from the photograph shown. Some will be darker and some lighter in tone and the likewise the grain will be different in each piece. 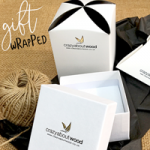 It is wrapped by hand, so may have some natural, harsh lines and a few blemishes. 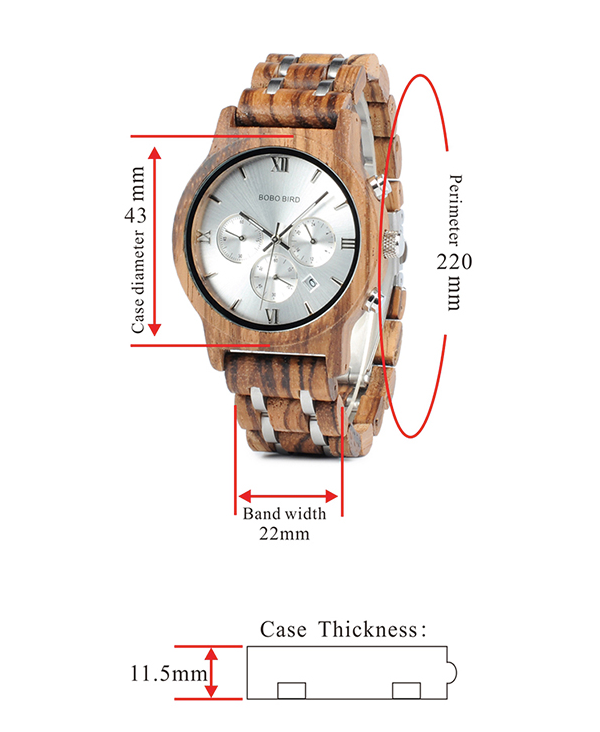 This watch design is also available in Blackwood – click here for details. 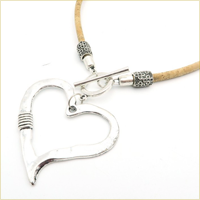 Measurements should only be used as a guide, as sizes can vary due to the hand crafted nature of the product. 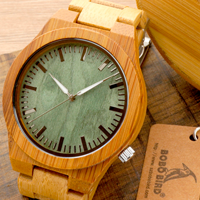 This watch is made from natural wood and is wrapped by hand, so may have some natural, harsh lines and a few blemishes. Likewise as a natural product, each watch is individual and may vary slightly from the photograph shown. The warranty covers defects due to faulty materials or workmanship, subject to normal conditions of use. The manufacturer may choose to repair or replace the watch (free of charge), at their sole discretion. 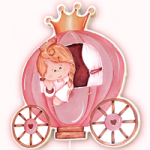 Batteries, glass, straps and/or bracelets and other embellishments are not included. Likewise general damage and water damage through accidents, lack of care or normal wear and tear are not included in this warranty. With the exception of strap or link adjustment, the warranty becomes void in the event of service or repair by a non authorised third party.